More info on forthcoming Moles shows will be announced soon. Please keep checking in! You may have noticed that our shows are a little more spaced out (time-wise, not in a mind-altering substance way) than usual. The whole live music scene is feeling the pinch at the moment and we're scaling things back just for the short-term. We're going to take a bit of a break for a while, put our feet up for the summer, and re-energise ourselves. Keep an eye on this website or on the Purr Records MySpace, Purr Live MySpace and Purr Facebook sites for the latest news on our forthcoming shows. Thanks to everyone who came along to our final (for now) show with Let's Wrestle, Race Horses and Gentlemens Relish. Photos from the show are up here. Video from the show, plus loads of other Purr shows can be seen on the Gigger site. Go check it out now. Have a nice summer, everyone, and we'll see you all soon! 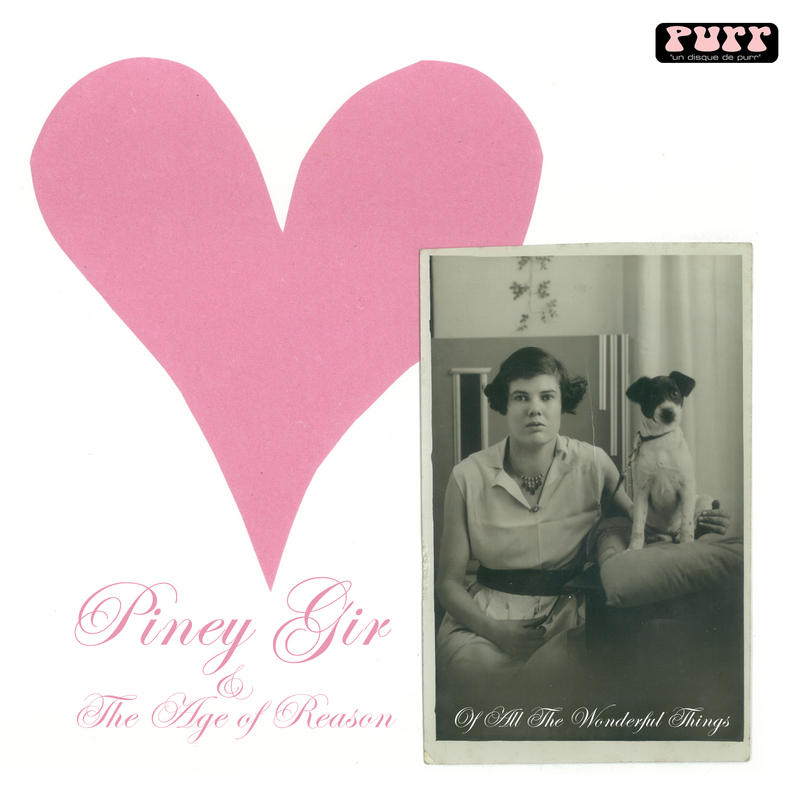 Out on 6th March as a digital download from iTunes, Purr bring you a new single by Piney Gir, accompanied this time by both The Age of Reason and the Country Roadshow. Track 1 is "Of All The Wonderful Things", accompanied by Brakes' Eamon Hamilton, and features the Age of Reason, while track 2 is The Piney Gir Country Roadshow track "My Imaginary Baby". So how do I get hold of this? In addition to the download which will be available through iTunes, there is a limited CD edition of just 200 copies available through this website and at gigs. Click here to order now! Gigger - check out the vids! Check out the new website, Gigger, developed by Stephen Lockhart of Float Media featuring reviews, listings, photos and videos taken at gigs, including Purr. Stephen filmed many Purr nights and created the Purr live DVD for us, and we wholeheartedly recommend you check out this new site. 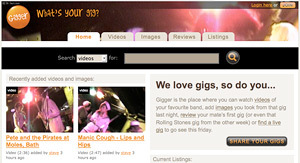 Log in and upload videos and photos of gigs, and check out some of the other things that have been uploaded by others. While the Hot Puppies take a summer break, Bec and Beth are following up their recent Purr shows with this 4-track offering of originals ("French Song") and covers from the likes of Burt Bacharach ("Anyone Who Had A Heart"), The Inkspots ("I'm Making Believe") and The Smiths ("Last Night I Dreamt Somebody Loved Me"). To take Bec's mind off the arrangements in the build up to her recent wedding, the young bride-to-be and her friend Beth set up some mics in Bec’s flat and have recorded an EP of lost love and heartache. Stripped back to the barest of essentials (acoustic guitar, keyboard and vocals) this is perfect for those intimate, late night moments. 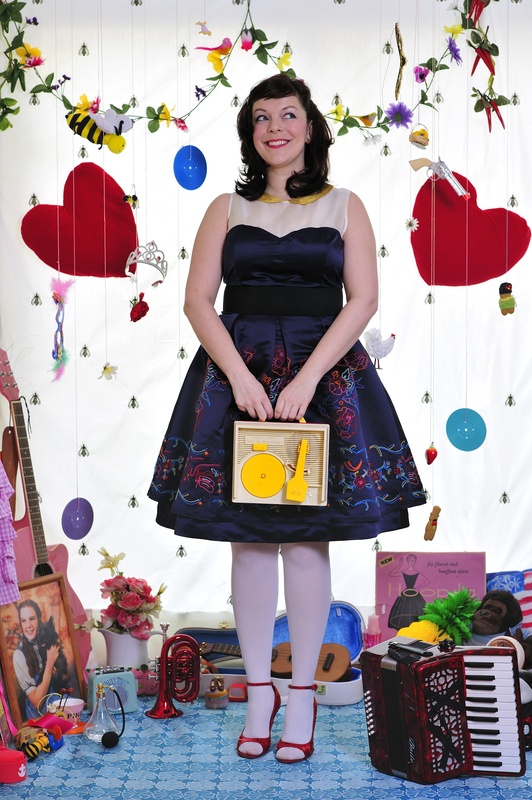 Subba Cultcha described the EP tracks as "all fragile and beautiful as a porcelain kitten in a pillow fight out of bounds. Lovely noises, lovely harmonies", Sounds XP said that it is "a record full of blushing charm and with all the thrill of the unrequited crush" and Bethan and Huw and Steve Lamacq have featured tracks on their shows. The EP comes out on 7" and download on 25th August and will be available in the shops or from this site. The new Hot Puppies single, "Somewhere" (c/w "Where The Werewolves Meet"), is released on Monday 26th May on lovely 7" vinyl, CD and download. The single is already picking up airplay thanks to Marc Riley on 6Music. Only 500 of these spiffy 7"s will be available and I'm betting they won't be around very long. Go to the label page to purchase. The two tracks from the single are available to download from iTunes. Catweasels released a single on Longest Mile Records (set up by the Futureheads), and the accompanying video, featuring several of Purr's very own Panther Girls, is up now on YouTube. The NME very nicely mentioned us in their Student Guide, saying that "with recent all-ages shows from Crystal Castles and Tiny Masters Of Today, Purr is Bath's most imaginative night; check out their resident dance troupe, The Panther Girls." The sad demise of Fopp earlier this year may have deprived them of a regular home, but Purr are determined to see out 2007 in style with their medieval-themed, seasonal bash at the Cube Cinema. 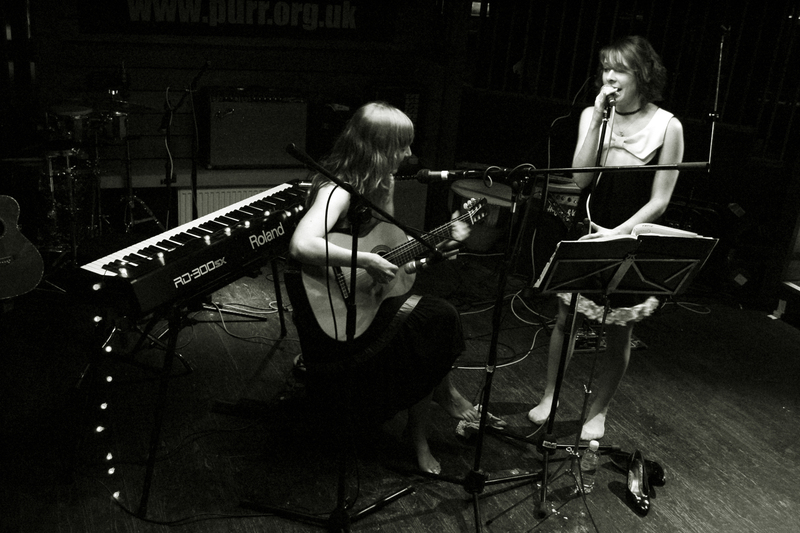 Purr have had a storming 2007, combining some spot-on live band selections with a raucous sense of fun and a very neat visual identity tossed in for good measure. Tonight they invade Bristol's self-proclaimed Cube Cinema for a medieval madrigal masterpiece featuring live sets from London's most famous cult folk/prog/psych band Circulus and the dark zombie girl band surf tunes of the Hot Puppies. And let's not forget all those lovely touches which make Purr nights so ace, like 1960s power pop and garage-influenced DJs, visuals, films and those naughty all-dancing Panthergirls. Photos from the summer all-ages shows can be seen here (featuring Help She Can't Swim, Shimmy Rivers And And Canal, and Model Horror), here (featuring The Hot Puppies, Modernaire, and Kerterver Cartzo), here (featuring Crystal Castles and Turbowolf) and a videoclip on YouTube, and here (featuring Tiny Masters Of Today, The Locarnos and Won't Never). Please keep an eye on this site, and our posters and flyers, for further details of future shows. We will post further updates shortly. If you need hi-res pictures of the bands, posters or a copy of the press release for any Purr show please go to the appropriate gig page for all your promo needs, or drop us an email at info@purr.org.uk. Advance tickets for Purr shows can be purchased in advance online from WeGotTickets. You can hear tracks by each of our forthcoming bands on the Purr Live MySpace site. Updated after each show. You can also check out some of the Purr Records tracks on the Purr Records MySpace site, or on the label page of this site, or on Last.fm. Rock, dude!